OEM drum unit for Brother® HL-4150CDN, HL-4170CDW, HL-4570CDWT, MFC-9460CDN, MFC-9560CDW, MFC-9970CDW. OEM belt for Brother® HL-4150CDN, HL-4170CDW, HL-4570CDWT, MFC-9460CDN, MFC-9560CDW, MFC-9970CDW. 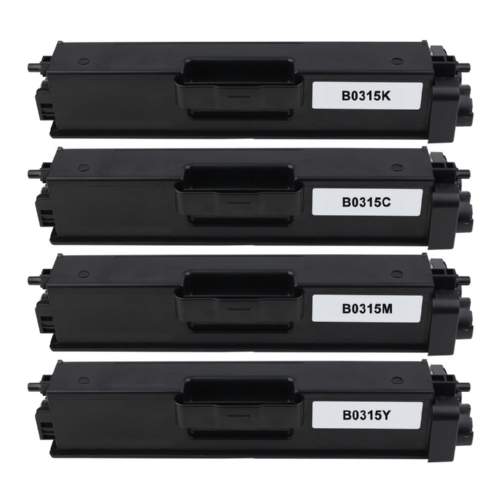 OEM toner for Brother® HL-4150CDN, HL-4170CDW, HL-4570CDWT, MFC-9460CDN, MFC-9560CDW, MFC-9970CDW. Reliability and performance. Tailored to your printing needs. Fade-resistant. Device Types: Multifunction Laser Printer; Color(s): Black; Page-Yield: 25000; Supply Type: Drum Unit. Genuine OEM quality. Installs quickly and easily. Dependable. Device Types: Multifunction Laser Printer; Page-Yield: 50000; Supply Type: Transfer Belt.